KPERS serves members as a fiduciary, holding assets in trust for them, growing those assets through investments and delivering promised benefits when the time comes. The fiduciary standard is our driving force, particularly in investments. It is the highest standard of care and accountability. KPERS investments are made and managed for the sole purpose of providing benefits to our members and their beneficiaries. Investment returns make up the largest source of income for paying benefits. They are a vital part of successful funding. 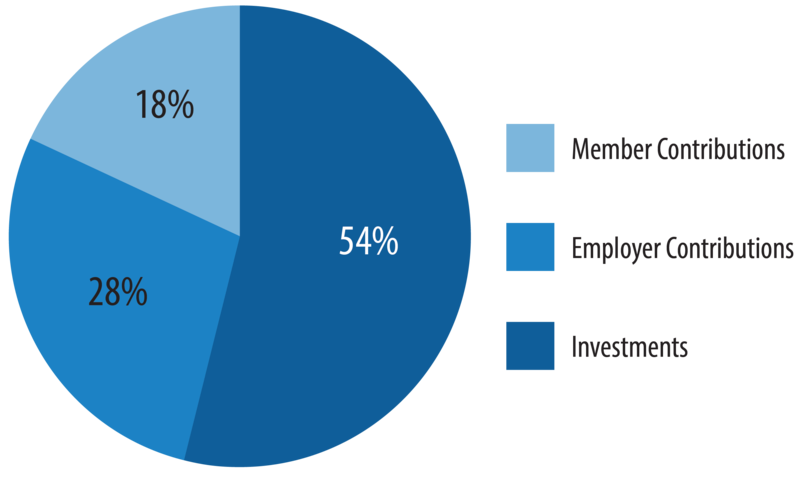 Over the years, investments have paid for more than 50% of benefits. Assets are invested according to the “prudent expert standard of care” for the sole purpose of providing benefits to our members. KPERS Statement of Investment Policy, Objectives and Guidelines serves as a guide to implement broad investment objectives. The Statement complements KPERS’ statutes and documents the principles and standards that guide the management of System assets. It is binding for all persons with authority over the assets, including investment managers, custodians, consultants, staff and the board of trustees. Among other things, the Statement establishes the criteria against which investment managers are measured. It also serves as a review document to guide ongoing investment oversight as a yardstick of compliance with the KPERS Retirement Act. The Statement is reviewed and updated annually. KPERS has a staff of nine investment professionals who provide oversight and management of the assets and the external investment managers retained by the System. 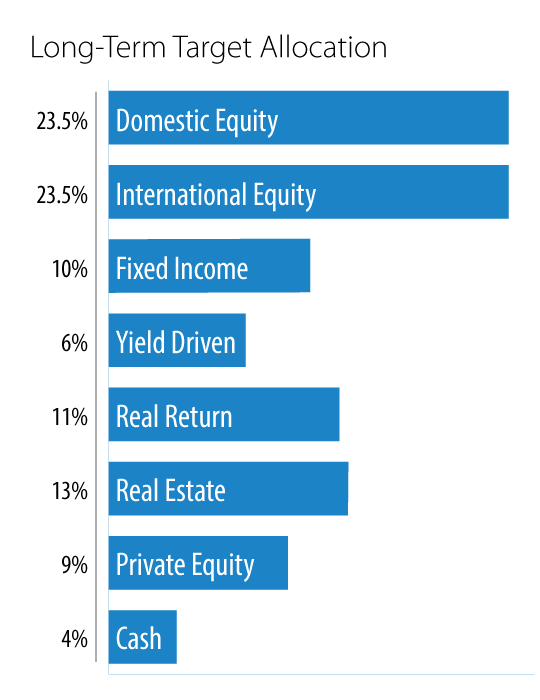 Each asset class is overseen by at least one investment officer. Investment officers are supported by a team of investment analysts who provide research and assistance in managing the portfolios. KPERS investment team is managed by the chief investment officer. KPERS’ team has over 100 years of combined investment management experience. Three of the five officers and one investment analyst have earned their Chartered Financial Analyst (CFA) designations. One officer and one analyst are CFA Level II candidates. The CFA designation is globally recognized as the standard by which to measure investment professionals. Another analyst is a Level I candidate for the Chartered Alternative Investment Analyst (CAIA) designation. Pension Consulting Alliance, Inc., is KPERS’ general investment consulting firm. They are an independent, full-service investment consulting firm. 32 clients representing $1.3 trillion in institutional investor assets. 10 senior general consulting staff members (19 senior consulting staff members in total) with offices in Portland, OR, and New York, NY. Hired by KPERS in 1998. Pavilion Alternatives Group, a Pavilion company, is a full-service investment consulting firm that provides a broad range of investment advisory services focused on alternative assets including investment strategy and pacing, manager sourcing and screening, due diligence, portfolio monitoring and results reporting, in-depth market research and educational sessions. The Townsend Group provides investment sourcing and underwriting, investment pacing, advisory board representation, results reporting and board education relating to real estate, timber and infrastructure investments. Through a competitive hiring process, KPERS carefully selects qualified investment managers to construct and manage asset class portfolios that work together. KPERS currently utilizes 25 investment managers. Our internal investment officers maintain a close relationship with each external manager. In partnership, they carefully monitor the asset portfolios, making adjustments as needed to benefit the trust fund. Active managers add value, not only for what investments they select, but also for those issues they avoid. Every three years the board of trustees undertakes an asset/liability study. With the guidance of the System’s investment consultant, the board reviews projections of liabilities (future benefits) and return assumptions for different asset classes, then assesses the System’s risk tolerance level. The objective of the study is to determine the asset allocation that most effectively and efficiently supports the future payment of benefits when combined with future contributions. The results of each study are used to set the target asset allocation mix. Potential investments are grouped by asset class. Each asset class represents an opportunity for return and risk. Risk is measured as the variability of the expected return.